Aswan is known for its astonishing attractions and unique landmarks, Take your exploration tools and head to the Nubian city “staggering Aswan” to discover the hidden attractions in Aswan. 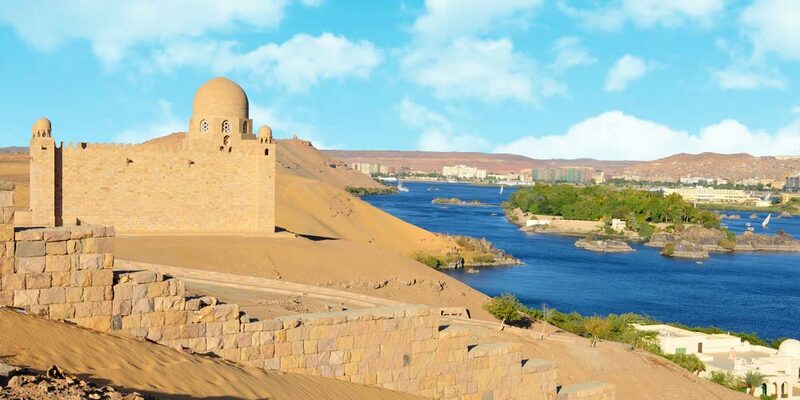 One of the important hidden attractions in Aswan is Elephantine Island which is one of the major highlights in Aswan because of its palm trees and the gorgeous colorful houses. Aswan Museum is located at the southern end of this island and the ruins of Abu, which contains the temples of Khnum and Satet. It is a very nice site and a gorgeous place to spend a terrific vacation. This pink limestone Mausoleum was built in the style of the Fatimid tombs in Cairo. It was Sir Sultan Muhammed Shah’s mausoleum, who was the spiritual leader of the Ismailis. He was so educated and became the 48th Imam after the death of his father in 1885. Sir Sultan Muhammed used to spend some time in a villa near that location that’s why he was buried there after two years of his death. He died in 1957 and his wife Begum Om Habibeh Aga Khan used to put a red rose over his shrine every day. She was the one who ordered her men to build such a majestic construction and she finished it in about 16 years with the help of famous architects. She died in the 2000s. His Grandson Karim Aga Khan succeeded him in 1957. Unfortunately, it is no longer open for the public. 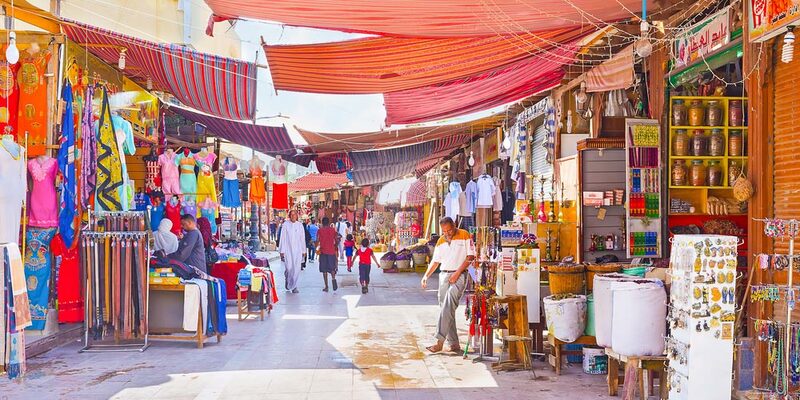 This famous bazaar is known as Aswan Souk, in which you can buy the cheapest souvenirs in the Nubian city, Aswan. In this bazaar, you can find many Egyptian and African goods including perfumes, peanuts, henna powder, and dried hibiscus flowers. You can also buy different types of spices, clothes such as T-shirts and custom-made Ancient Egyptian styled souvenirs. Inside the alleys of this bazaar, you’ll also find traders selling artifacts including skullcaps, talismans, and baskets. In addition to Sudanese swords, spices, carpets, and stuffed animals such as crocodiles. 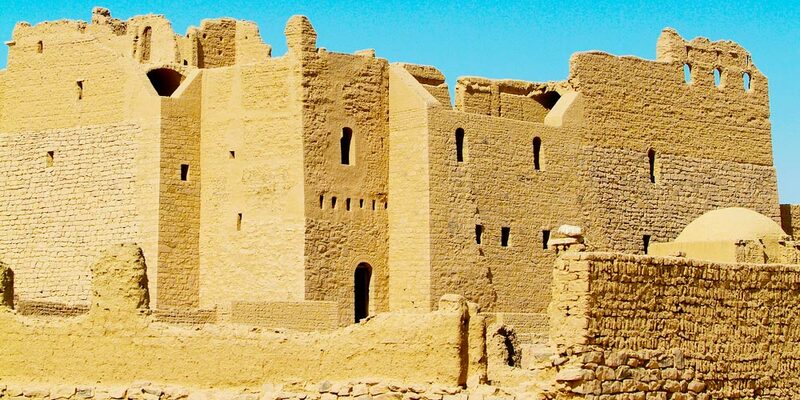 It is a great Nubian Attraction that combines both ancient & modern culture. 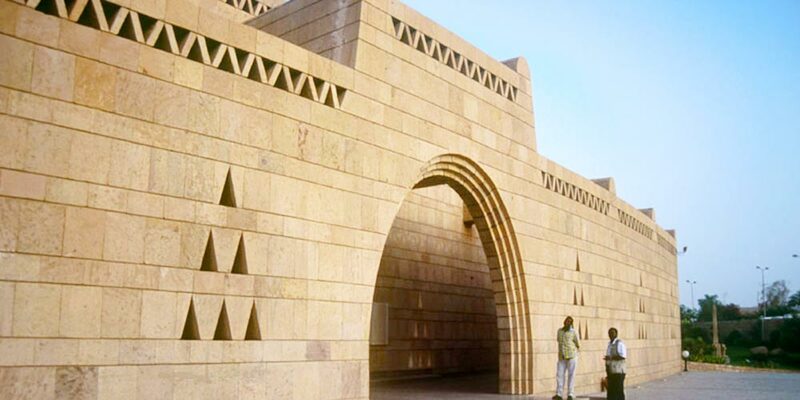 Inside this magnificent Museum, you will find artifacts related to the Kingdom of Kush. There are also amazing photos taken by the UNESCO to save the temples of Philae and Abu Simbel from the flooding of lack Naser caused by the High Dam. There is also statues of Ramses II, Amenras, the head of the Shpatka, and the black granite head of Tahraqa. There is also the ethnographical section that displays gorgeous Nubian handicrafts and folk art. This Monastery was founded in the 7th century and was abandoned because of the water shortages in the 13th century. There is an aisle Basilica inside the courtyard of the monastery. There are remains of a fresco depicting Christ enthroned between angels in the central part of the courtyard. To go to that unique place, you can try a felucca and then hike or ride a camel. This was the burial destination of the majority of the Elephantine Island’s governors, grandees, and priests. An example of those who were inside Mekhu, Sabni, prince Sarenput III, Harhuf, Amenemhet II, and Setka. Kalabsha. It is the youngest preserved temple in Aswan. It dates back to the reign of the Roman Emperor Augustus. It is the greatest monument after the fanciful Abu Simbel Temples. It was built by Amenhotep II. It consists of a vestibule, transverse chamber, and sanctuary. Inside this temple, there are historical reliefs that show the victories of Ramesses II in addition to two Hathor columns at the entrance and four other columns with elaborate floral capitals. Aswan has lots of enchanting attractions that need to be experienced. If you prefer to explore these hidden attractions in addition to amazing places in Egypt, Check our Egypt tour packages and customize your trip in the land of Pharaohs.